The Song To Stage collaborative announces the launch of a new songwriter development program, guided by Grammy winning songwriter Louisa Branscomb, along with the award-winning bluegrass-Americana group Nu-Blu. Song To Stage is a first of its kind, an innovative songwriter-artist-production workshop designed to advance the personal and professional needs of the songwriter from all angles of the creative and business process. 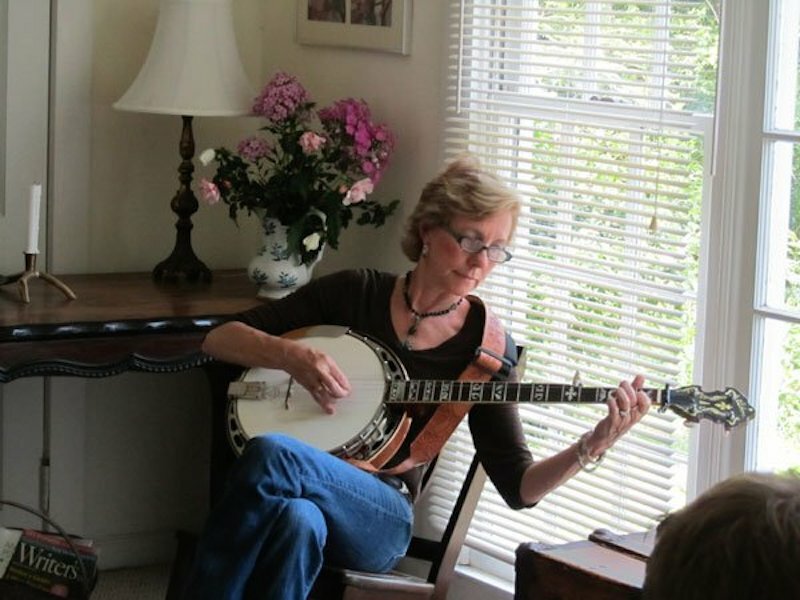 We are extremely excited about the curriculum we have created for songwriters of all levels, the unusual and special setting of the Outer Banks, and most of all, to be working with Louisa – who is often called “The” bluegrass songwriter. Her work goes way beyond bluegrass though – and she is an inspired writer and teacher. We love working with Louisa, and I’ve learned why some people say Louisa IS songwriting –Daniel Routh of Nu-Blu. After 35 years of teaching and mentoring songwriters, I am very excited about this new venture in combining forces with Nu-Blu to expand the usual curriculum of my workshops. Our retreat-styled workshops, set in the beautiful Outer Banks of NC, preserve the inspirational setting and emphasis on personal creativity that are a hallmark of my Mastercraft series at the Woodsong Writer Retreat. At the same time, the skills that the members of Nu-Blu bring allow us to adding tracks that expose the participant to all aspects of songwriter development from inspiration to craft, and pitching to recording, promoting, and performance. Having songwriters and artists together – with the amazing breadth of skills that Nu-Blu brings – gives this workshop wonderful new possibilities to strengthen the areas that each participant wishes to work on – Louisa Branscomb. The first workshop in the series will be held from October 30th to November 2nd, 2014, with accommodations on the stunningly beautiful Outer Banks of North Carolina. The workshop fee is much less than most workshops, and even includes lodging in the beautiful vacation destination of Manteo, NC. Song To Stage will be held at the old courthouse in the downtown area and include a special performance by Nu-Blu and Louisa. The “Branscomb – Blu” team will also be signing up various festivals throughout the US to host workshops in the series that are tailored for each event or festival. Retreat dates : October 30 – November 2, 2014. Fee : $525 per person INCLUDES 3 nights lodging in or around Manteo, NC. For more info or to reserve your space visit www.songtostage.com. Louisa is a performing musician and recorded songwriter (180 recorded songs), with numerous chart hits by artists including Claire Lynch, Dale Ann Bradley, John Denver, Alison Krauss, Janet McGarry, Daughters of Bluegrass, and hits from her own solo recordings. She is Founder and Director of Woodsong Farm Writers Retreat, where for 25 years she has evolved her unique program of experiential retreats, Branscomb Mastercraft. Her approach combines the inspiration of the rural mountain setting with her innovative, personalized approach to facilitate songwriters in personal and professional development. Her current series, Beyond Bones: The Soul of the Song, focuses on supporting the unique voice of the songwriter and facilitating the process of deep, authentic writing. With careers in psychology, music, and education, Louisa is interested in cultivating the elements that make for powerful, effective songs. Pioneering new ways of facilitating songwriting is just Louisa’s latest frontier. She was the first woman to front a band playing banjo, while also providing the original repertoire for the band. Louisa has served as a role model, mentor and pioneer for songwriters throughout her 45 year professional career. Her current hit, “Dear Sister,” (co-written with Claire Lynch) is nominated for the IBMA 2014 Song of the Year.